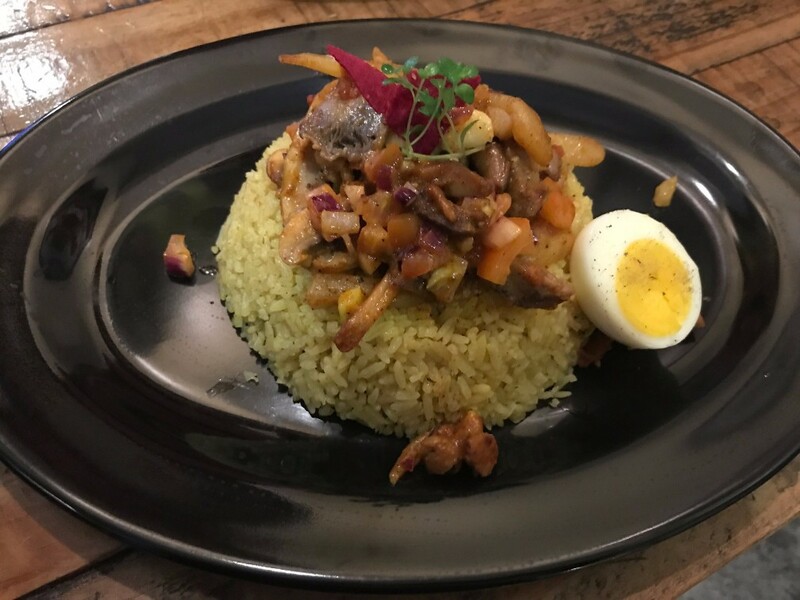 Halal cooking has been slowly gaining attention in the local food scene here in Manila but for those who are still not aware, halal literally means ‘permissible or allowed’ and in translation it is usually used as ‘lawful’. It used to cater only to the Muslim population but now rapidly becoming everybody’s favorite, too. 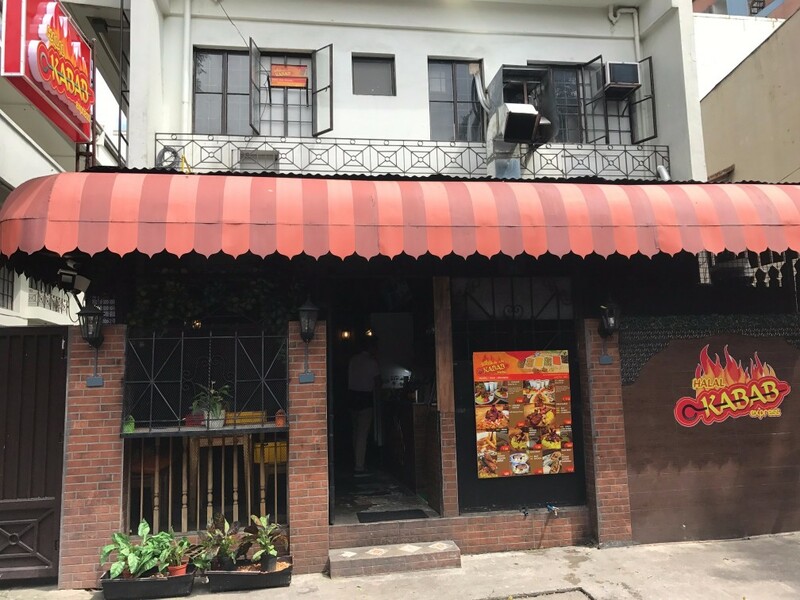 I was invited to try some of the menu items from this cozy, hole-in-the-wall restaurant in Katipunan Avenue, Quezon City and the chef gladly introduced me to everything halal! Here’s a quick review of my trip to Halal Kabab Express. There’s only a small number of halal options so it was really exciting to be accommodated by the owner and chef of one. The very first Halal Kabab Express was established in July of 2016 by owners David Nadela, Chef Manoj De Silva, Chef Violet De Silva and Atty. 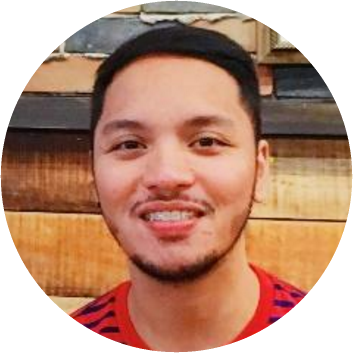 Darwin Ocampo. 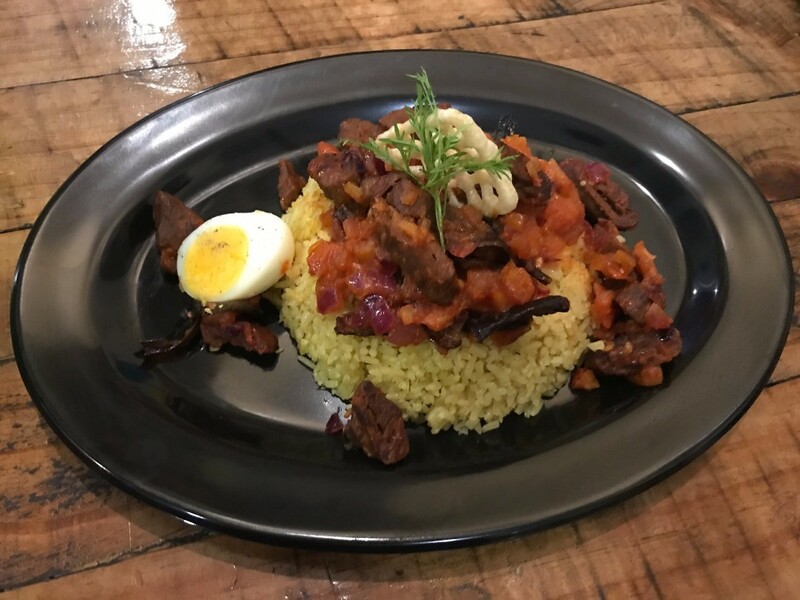 Their common love for Persian cuisine made them want to open this restaurant with the hopes of increasing the awareness for halal food. 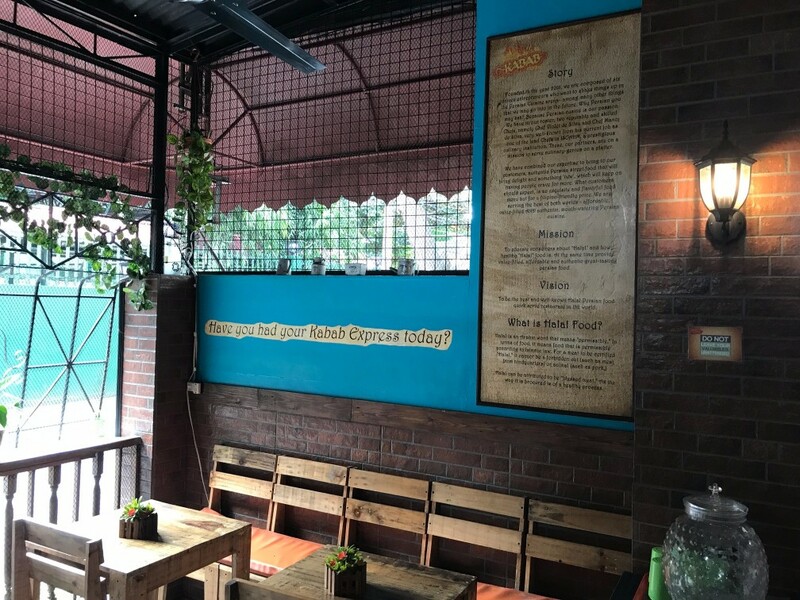 Halal Kabab Express is a quick service restaurant that serves value-filled, and authentic, mouth-watering Persian cuisine at a Filipino friendly price. The meat that they are using are, of course, halal certified and imported from Ireland and Brazil while the special sauces, herbs and spices are made every day in their commissary. The interiors of this branch is composed mainly of wood and brick walls in earth hues which adds a homey feel to the entire place. It’s also actually meant to remind guests of the great Persian alleys where lighting is always kept at the minimum using yellow bulbs to preserve that middle eastern, casual and unintimidating vibe. You can also see accents of the world renowned Taj Mahal in every corner. The place is big enough to accommodate up to 60 people perfect for any intimate occasion for friends and family. Halal Kabab Express boasts of its four best-sellers. They have Chicken Biryani with Basmati Rice, Chello Kabab Kubideh Combination that has two long kubideh, one beef and one chicken, served with Persian rice for only ₱189, Naan Wraps, available in beef and chicken for only ₱99, and Chicken Shawarma Wrap with special sauces, vegetables, chips and whole grain pita for ₱110 only. The last best-seller is the so called “JB” or Junior Kabab Meals which consists of one beef kubideh and quarter chicken with four sauces (hummus, garlic, gravy and hot sauce) served with Persian rice for only ₱139. Their serving size is good for 2 people and it will surely fill up your hungry tummies. Aside from these staples, they are also reinventing the menu list every month to cater to the demands of their loyal customers. They have recently launched their Rice Bowls for their dine-in customers and will be visible in foodpanda this month. Every meal is served with persian rice and it actually takes a lot of time to prepare it. It is not only boiled, but also steamed then topped with saffron. The first one is the Chicken Shawarma Rice bowl. This is not your typical shawarma with rice which only consists of a few meat, tomatoes, onions and rice. This one became my personal favorite right away. I really love how tasty the shawarma recipe is because the meat is juicy and flavorful that you want to savor every bite of it. It goes with the Persian rice plus it has fries, chips, cheese and boiled egg, too! The second one is the Chicken or Beef Kabab Rice bowl which has chicken or beef, herb tomato sauce, sautéed eggplant, boiled egg and Persian rice. I love how tender the meat plus you can really taste different spices in it. I also like the rich flavor of herb tomato sauce and sautéed eggplant which complements the whole meal. If you like chicken, the last dish is perfect for you! 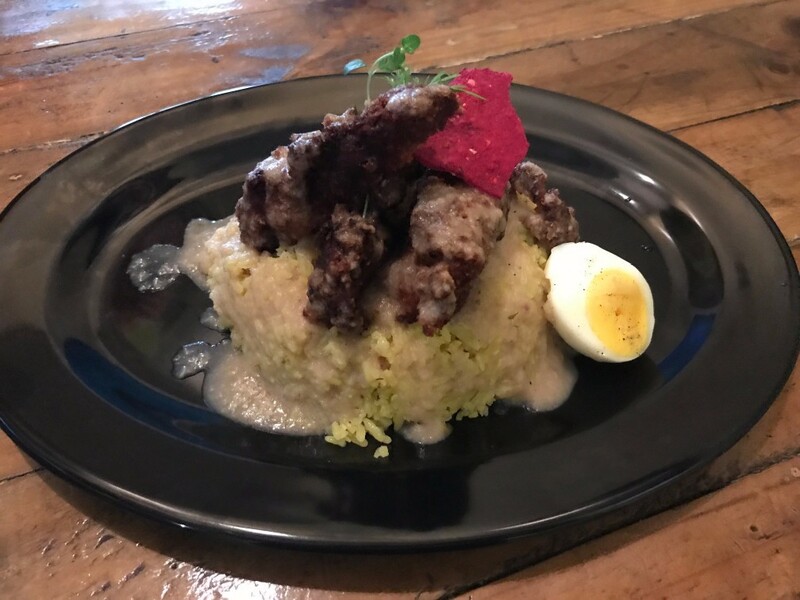 The Turmeric Breaded Chicken Rice Bowl consists of chicken with hummus gravy, boiled egg and Persian rice. This meal is very healthy because of the high-oxidants plus the hummus gravy which adds flavor to the meal. Turmeric is one of the powerful herbs on the planet at fighting diseases and it has some good benefits for the body. It dramatically increases the antioxidant capacity of the body and helps prevent and perhaps even treat cancer.These meals taste really good and are very affordable for ₱99 only.